Since 1961, National Poison Prevention Week has helped raise awareness of toxins that occur naturally and appear in household products. 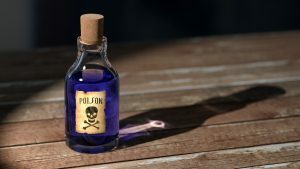 According to the National Capital Poison Center, nearly 7 of every 1,000 adults in the U.S. were reported exposed to some type of poison in 2017, while 39 of every 1,000 children were affected. (source) Depending on the toxin and the nature of exposure, poisons may cause mild irritation, severe pain, or even serious illness and/or death. Joint pain may also flare up as a result. At Bon Secours, our team of physicians and practitioners help patients throughout Hampton Roads treat joint pain. We treat the individual and work to determine not only the right solution for pain management, but the root cause – be it genetic or environmental. For more information on treatment of arthritis and joint pain, contact us. For more information on Poison Awareness Week, visit the HRSA.